Combining the familiar and the novel is one of the most important techniques for a storyteller. I first learned about this through an article on Robert Kirkman’s Walking Dead comics. The article’s author – sadly, I’ve forgotten who it was – highlighted how Kirkman provided his audience with something familiar and something new. 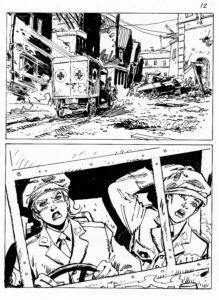 The zombie survival story is one comic readers are used to. Kirkman’s soap opera-style storytelling had novelty for them. Familiarity made the comic accessible, novelty made it exciting, and a hit was born. You could argue that the same formula, turned on its head, has helped the Walking Dead TV show. The soap-like personal dramas are appealing to a broad viewing audience that wouldn’t normally care about a zombie apocalypse. The formula works in reverse. It’s a formula I’ve used recently in writing scripts for Commando comics. 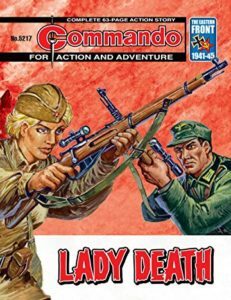 Commando‘s military adventure stories have a reputation for familiar tropes. They’re usually set during the Second World War. Gruff sergeants abound. Rivalries are overcome, leading to a particular sort of manly friendship. Though the publishers are working to broaden their stories, readers still have expectations, and that means there’s something familiar to work with. This creates two obvious ways to combine the familiar with the novel. I can either change the setting and keep the tropes or I can keep to the usual setting but tell a different story. 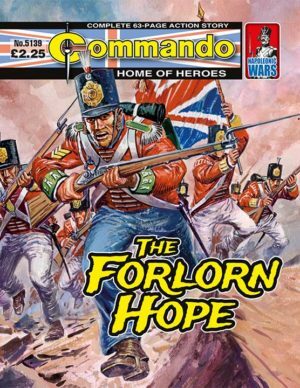 For my second Commando script, The Forlorn Hope, I took the former path. 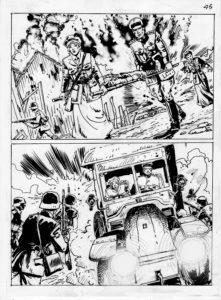 I wrote a story set in the Napoleonic Wars, but with the classic Commando dynamic of an indisciplined infantryman finding his place and learning to be a proper soldier. For the script I’m working on right now I’ve gone the other way. It’s set in the Second World War, but instead of focusing on the military it looks at the escape lines, the civilian resistance groups that smuggled Allied airmen out of Europe. Any time you’re writing a story, it’s worth thinking about these elements. What’s familiar, to draw in your audience. 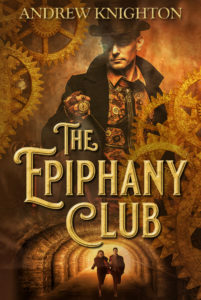 What’s novel, to excite them and expand the boundaries of your genre. Combining the two can make great stories and, if done well, a satisfied audience. 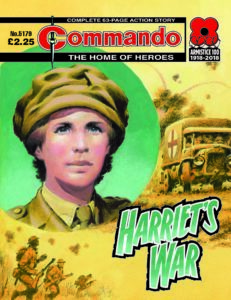 My first Commando comic, To Win Just Once, will be out in April – more details here nearer the time. For updates on future releases, plus free short stories, sign up to my mailing list.